On January 28, 2015, the sky was clear, and I took the time to image another startrails image. 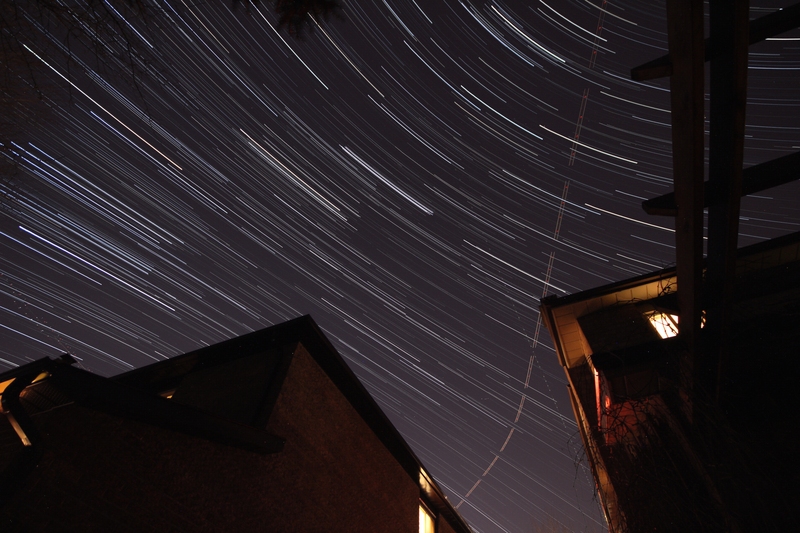 I aimed my camera at the sky towards Polaris, and I set my camera to image the night sky at 5″ exposure, f/5, ISO-1600. I had stacked over 516 frames to get this image. Keep looking up! You never know what you will find up there. 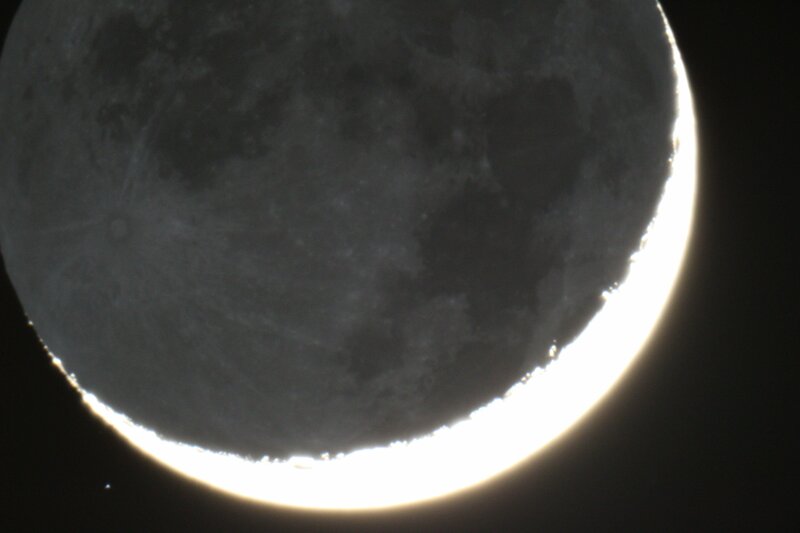 On January 22, 2015, the sky was very clear, and I saw a beautiful, thin, crescent Moon. 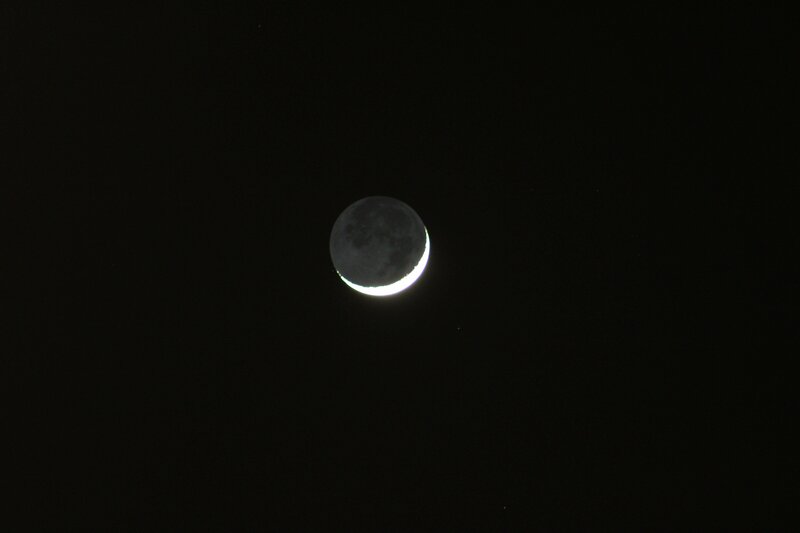 In contrast with the surrounding sky, you could also see an outline of the whole moon, despite the fact it is mostly unilluminated. 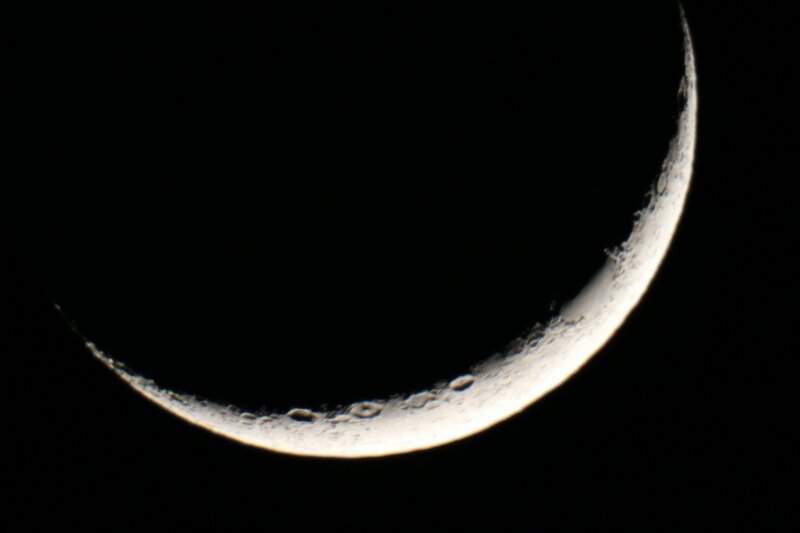 I imaged it using my father’s Telephoto lens, and the images turned out really well. Is this a Dim Moon??? After some time, after asking my father for help identifying it, my father told me that it was Mars. 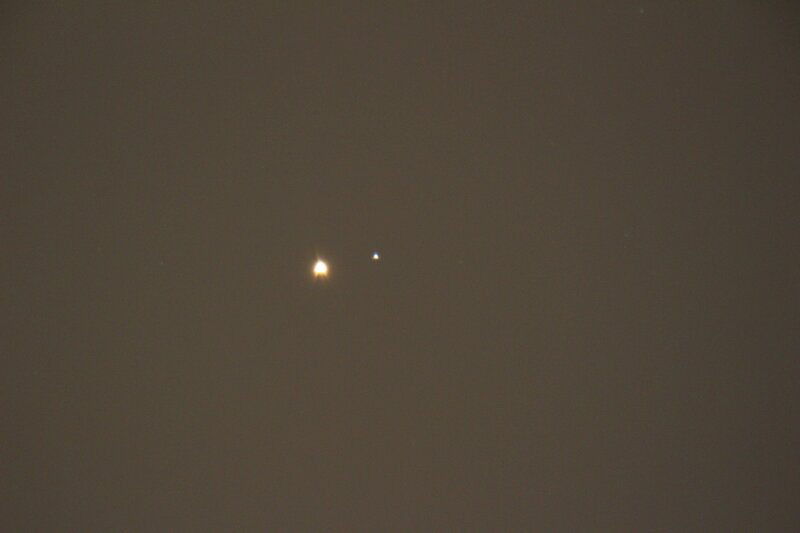 I was surprised to see Mars at this time. It was so far from Earth, that you wouldn’t be able to see anything from it. Nevertheless, it was a good image. 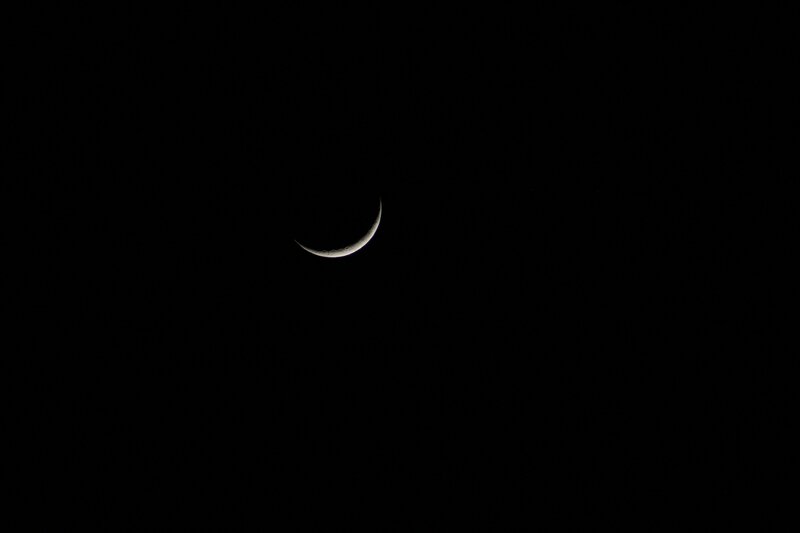 Sadly, the clouds started rolling in, and the Moon and Mars became obscured by a thick cloud, which ended my astronomy session. All this was in preparation for January 23/24’s event when Jupiter will do a triple-transit, and two of it’s Moon’s shadows merge. I still need to process the photos, so stay tuned. On January 20, 2015, the sky was clear. RASC had a plan for a star party at Long Sault Conservation park, but I had to get up early the next morning. Therefore, I had to miss it. Thankfully, I did not let the night go to waste. 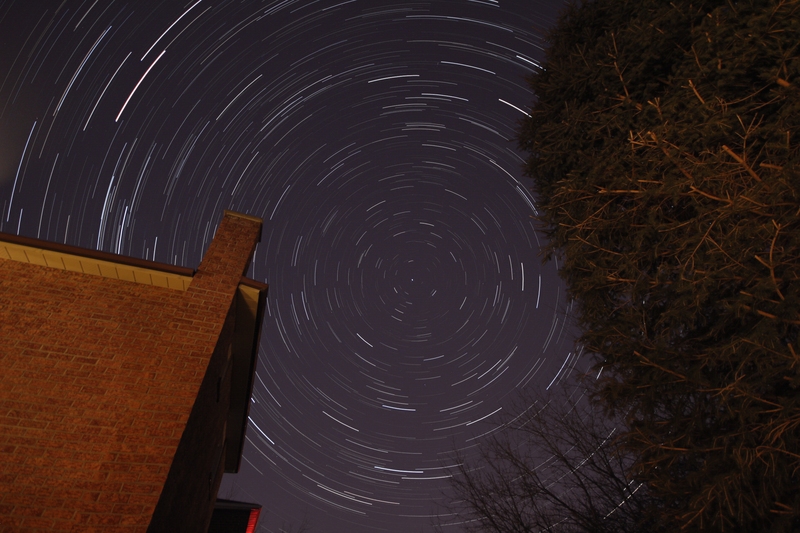 I took my camera and my father’s wide-angle lens and set the intervalometer to make a timelapse image. I would later make it into a star trails image. Since my home is in a light polluted area, I had to expose for a shorter amount of time to compensate for the amount of light there is. I set the exposure for 5 seconds, at f/4, and ISO 1600. 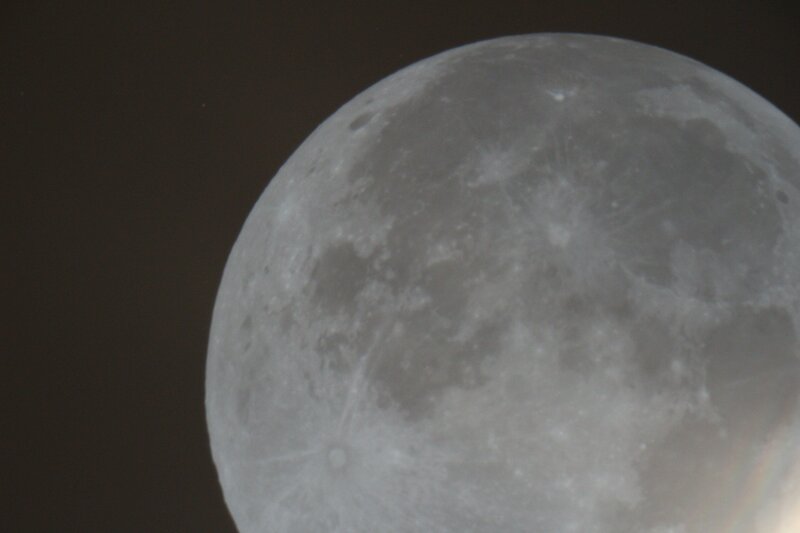 I left it out there for two hours and obtained over 719 frames for my image. 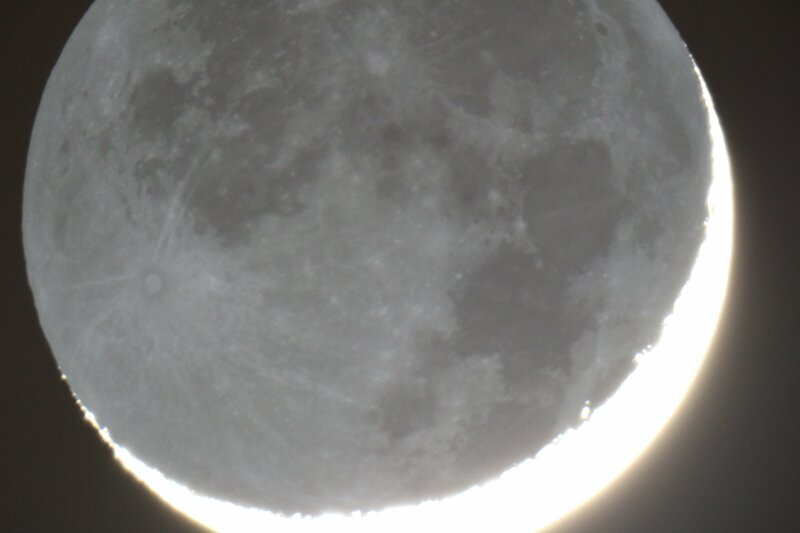 The resulting image turned out to be a major success. The lines were crisp and clear, there were a few satellites and airplanes, and a beautiful set of stars trailing along the houses. That was the only thing I did that night unfortunately. Nevertheless, I will continue exploring and imaging the night sky.